Moreton Bay Regional Council is one of the fastest growing regions in Australia. 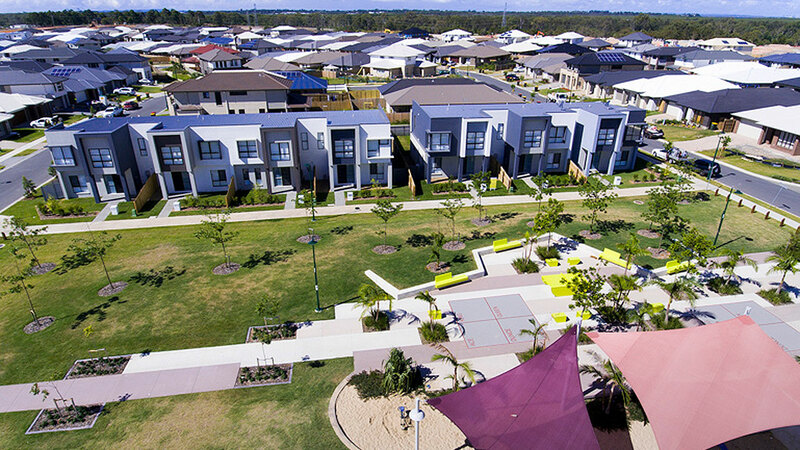 Record population growth, coupled with a forward-thinking council and significant infrastructure projects ensure that Moreton Bay’s economic future looks bright. Moreton Bay Regional Council is Australia’s third largest Council with 434,000 residents. In the last decade alone there has been an increase of more than 100,000 people. This trend is predicted to continue with a forecasted population of 530,000 in 2026 and 618,000 by 2036. This would make the population of Moreton Bay Regional Council greater than some other Australian states. This population growth has been one of the main drivers of economic growth and will continue to be a significant contributor for the next few decades. A significant proportion of this population growth is expected to be along the new rail corridor. It is estimated that 25% of residents are currently living within this catchment area. This provides significant development, infill, community and business opportunities. Moreton Bay Regional Council is creating a thriving new major precinct that will generate thousands of local higher education and employment opportunities for the region. With a full-scale University of the Sunshine Coast (USC) campus at its core, this new destination will offer world-class study opportunities to residents in the Moreton Bay Region. USC Moreton Bay is on track for completion in 2020, supported by additional work, study and community facilities, and will cater for up to 10,000 university students in its first 10 years. The Mill at Moreton Bay PDA is approximately 460 hectares and is located within the suburbs of Petrie, Kallangur and Lawnton. 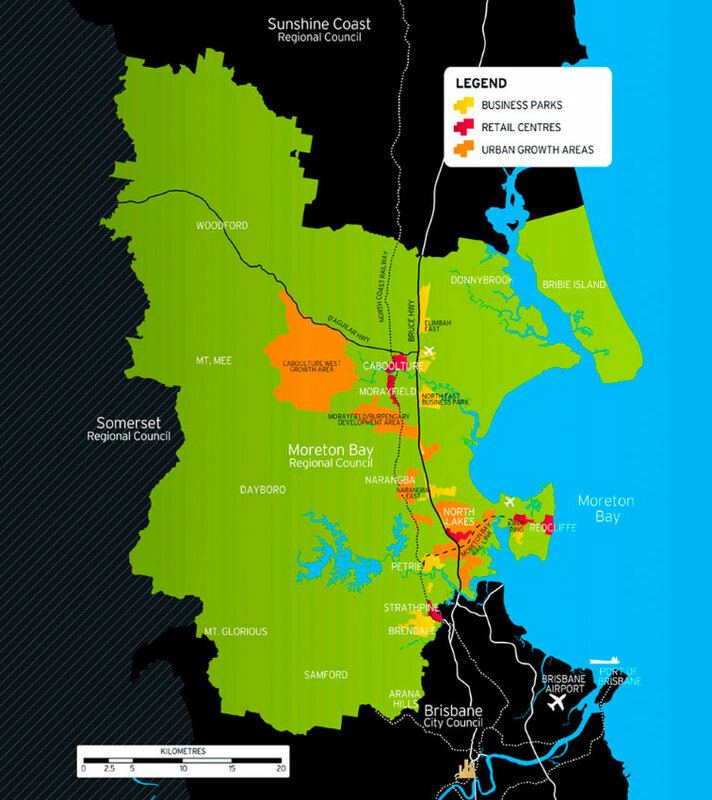 Moreton Bay Regional Council is strategically located between Brisbane City and the Sunshine Coast. 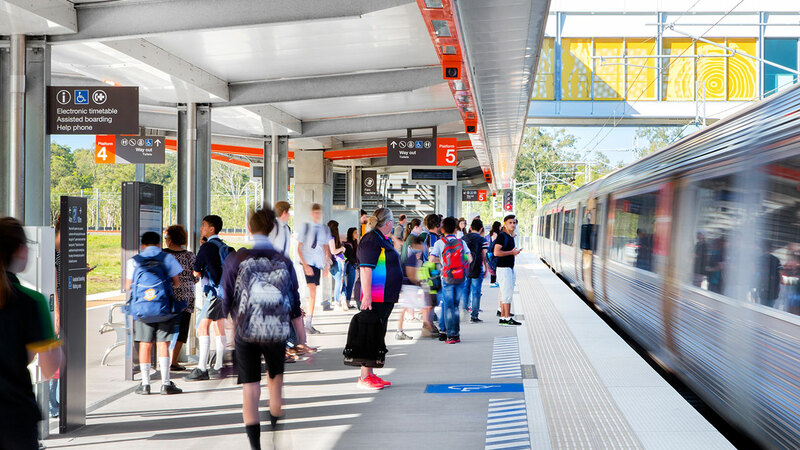 The Redcliffe Peninsula rail line is the latest addition to a well-developed transport network that includes a second train line, two major freeways and direct access to Brisbane’s export infrastructure including the international airport and Port of Brisbane. There has been significant development along the rail corridor already, with 85 residential developments already been granted approval. Whilst development has increased along this corridor, there are still 1,800 hectares of greenfield available in Moreton Bay Regional Council that have been designated for development. Continue to learn more about the key advantages of each of the ten precincts and explore the interactive map to find the perfect opportunity for you. *Statistics current as of June 2017. 3D images and animations indicative only. Thank you for registering your interest with Moreton Bay Regional Council, we have received your request and will contact you as soon as possible. * Population figures are aggregated by combining individual lots to 2011 ABS Meshblock Level. Refer to "Population" layer for further detail.